As we have discussed in many articles previously, market segmentation is important for any firm. However, the steps in market segmentation are equally important to determine the ultimate target market which you should settle on. Remember that market segmentation is not something only applicable to the top companies. 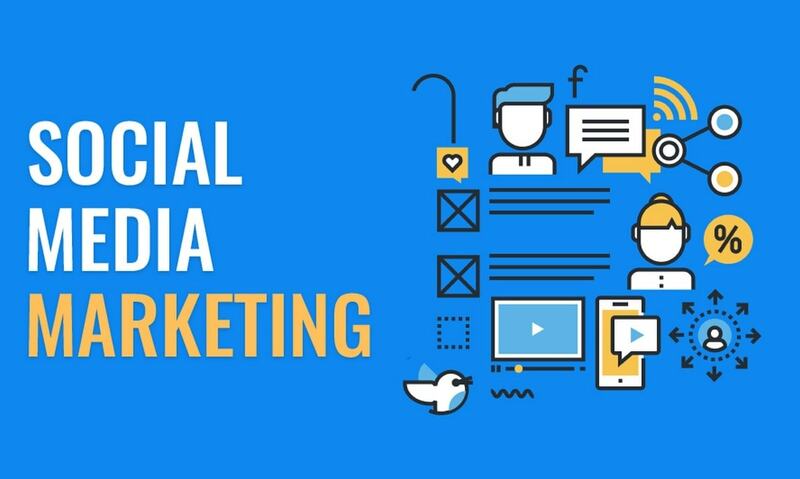 In fact, small businesses became large companies due to the application of marketing concepts, a major one of which was Segmentation of the market. Marketing strategy starts with segmentation, and hence learning the steps of market segmentation is important for any business. 3) Which segment is most attractive? 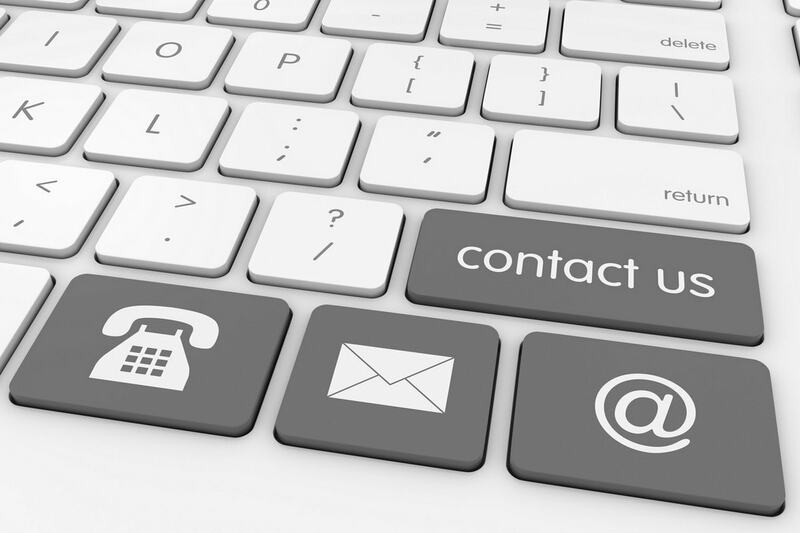 What are the needs of the customers and how can you group customers based on their needs? You have to think of this in terms of consumption by customers or what would each of your customer like to have. 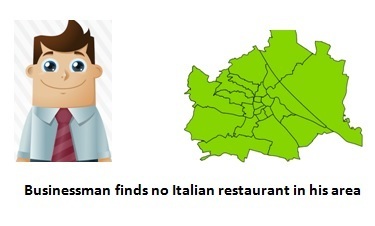 For example – In a region, there are many normal restaurants but there is no Italian restaurant or there is no fast food chain. So, you came to know the NEED of consumers in that specific region. Once you know the need of the customers, you need to identify that “who” will be the customers to choose your product over other offerings. Quite simply, you have to decide which type of segmentation you are going to use in this case. Is it going to be geographic, demographic, psychographic or what? The 1st step gives you a mass of crowd, and in the 2nd step, you have to differentiate the people from within that crowd. Taking the same above example of Italian restaurant – The target will be children, youngsters and middle aged people. Italian food is generally not preferred by old age people who prefer food which can be easily chewed (that’s what I feel at least. Lets see if I have teeth by the time I am 60). So you know the segment now. Now, we approach the targeting phase in the steps of market segmentation. Out of the various segments you have identified via demography, geography or psychography, you have to choose which is the most attractive segment for you. This is a tough question to answer because one of them will be left out. If you are using psychographic segmentation, then you need to target the psychology of consumers which takes time. So you will not be able to expand faster. But if your product is basic, then you can use demographic segmentation as the base, and expand much faster in surrounding regions. 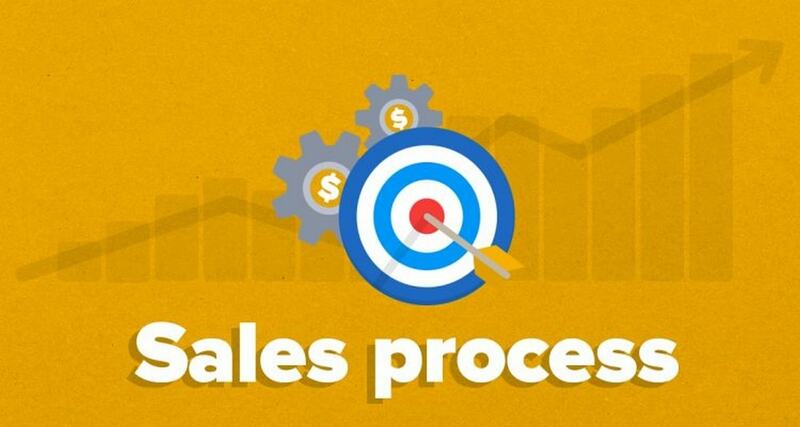 So this step involves deciding on ALL the different types of segmentation that you can use. 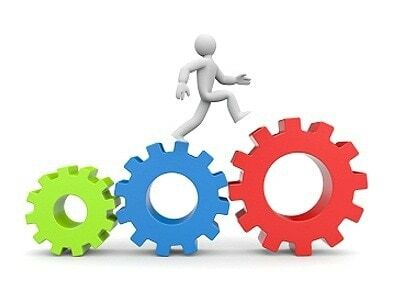 Attractiveness of the firm also depends on the competition available in the segment. If the competition is too much in a given segment, then it does not make sense to take that segment into consideration. In fact, that segment is not attractive at all. 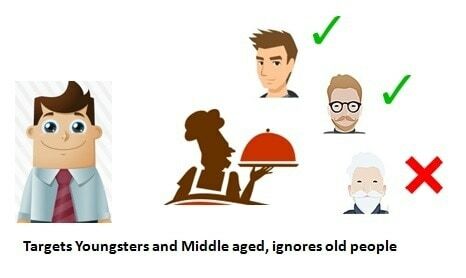 Taking the above example of an Italian restaurant, the restaurant owner realizes that he has more middle aged people and youngsters in his vicinity. So it is better to market his store on weekends and malls where this target group is likely to go. The middle aged people can bring children and elders as per their convenience. So the 1st target is the middle aged group, and the 2nd target is youngsters. He is using a combination of demographic and geographic segmentation to target middle aged people in his region. So, now you have different types of segmentation being analysed for their attractiveness. Which segment do you think will give you the maximum crowd has been decided in the 3rd step. 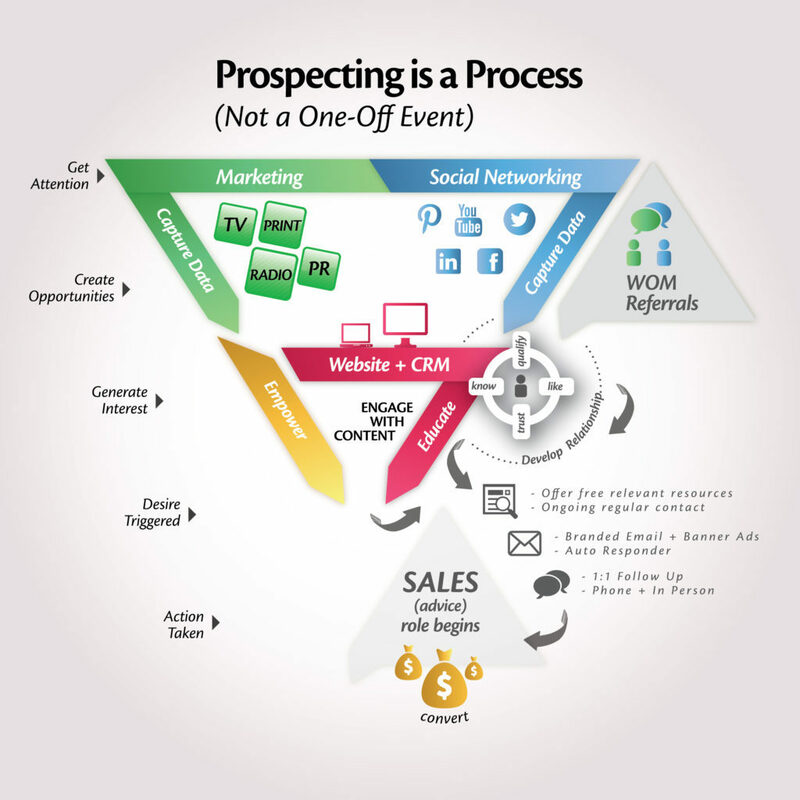 But which of those segments is most profitable is a decision to be taken in the 4th step. This is also one more targeting step in the process of segmentation. 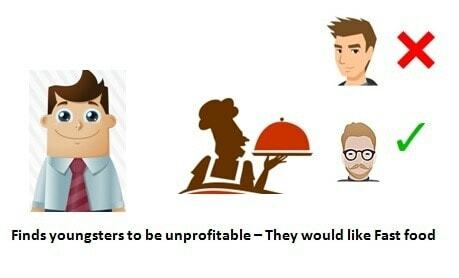 Example – The Italian restaurant owner above decides that he is getting fantastic profitability from the middle aged group, but he is getting poor profitability from youngsters. Youngsters like fast food and they like socializing. So they order very less, and spend a lot of time at the table, thereby reducing the profitability. So what does the owner do? How does he change this mindset when one of the segments he has identified is less profitable? Lets find out in the 5th step. Once you have identified the most profitable segments via the steps of market segmentation, then you need to position your product in the mind of the consumers. I would not dive deep into positioning here as you can read this quick guide to positioning. The basic concept is that the firm needs to place a value on its products. 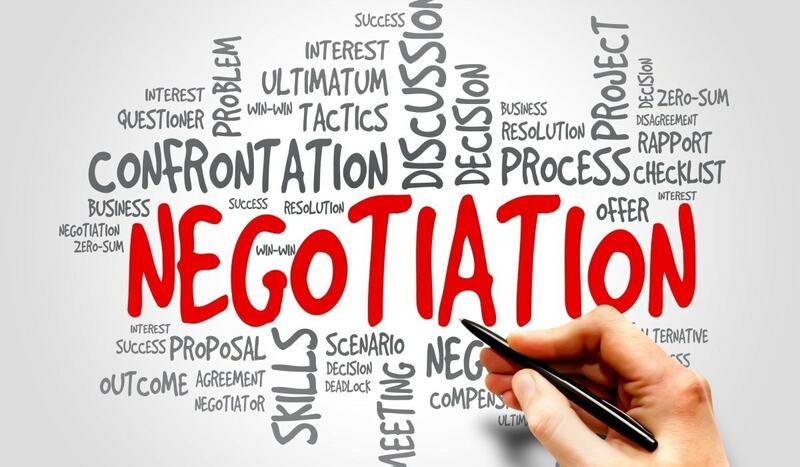 If the firm wants a customer to buy their product, what is the value being provided to the customer, and in his mindset, where does the customer place the brand after purchasing the product? What was the value of the product to the customer and how valuable does he think the brand is – that is the work of positioning. And to complete the process of segmentation, you need to position your product in the mind of your segments. 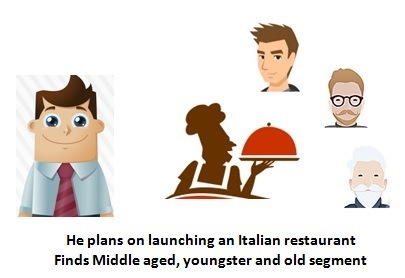 Example – In the above case we saw that the Italian restaurant owner was finding youngsters unprofitable. So what does he do? How does he target that segment as well? Simple. He starts a fast food chain right next to the Italian restaurant. What happens is, although the area has other fast food restaurants, his restaurant is the only one which offers good Italian cuisine and a good fast food restaurant next door itself. So both, the middle aged target group and the youngsters can enjoy. He has converted the profit earned from the middle aged group, into more profit, and has achieved top of the mind positioning for all people in his region. All segments need to be scalable. So, if you have found a segment, that segment should be such that the business is able to expand with the type of segmentation chosen. If the segment is very niche, then the business will run out of its course in due time. Hence the expansion of the segment is the second last step of market segmentation. In the above example, the Italian restaurant owner has the best process in his hand – an Italian restaurant combined with a fast food chain. He was using both Demographic and geographic segmentation. Now he starts looking at other geographic segments in other regions where he can establish the same concept and expand his business. Naturally, with more expansion he will earn more profits. Once you have found a segment which is profitable and expandable, you need to incorporate that segment in your marketing strategy. 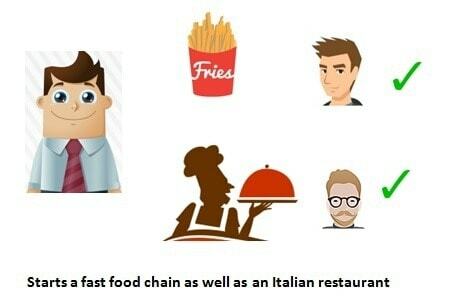 How do you think McDonalds or KFC became such big chains of fast food? They had a very clear process of segmentation because of which it became easier to find regions to target. With the steps of market segmentation, your segments become clear and then you can adapt other variables of marketing strategy as per the segment being targeted. You can modify the products, keep the optimum price, enhance the distribution and the place and finally promote clearly and crisply to your target audience. Business becomes simpler due to the process of market segmentation. A fantastic breakdown of market segmentation!